Leaders are readers! EVERY outstanding leader dedicates hours each week to reading 2 books/month or more. While attending a conference for some of the world’s top CEOs and business coaches, I heard an idea that I still think about to this day. Verne Harnish was speaking. Verne is the founder of the world-renowned Entrepreneurs’ Organization (EO), with over 14,000 members around the world, and is the Founder and CEO of Gazelles, a global education and coaching company for mid-market CEOs in which he has spent the past thirty years helping companies scale up. During his talk, he asked us if we could read. I thought, “What an odd question to ask CEOs!” Everyone raised their hands. After everyone put down their hands, he asked, “How many are currently reading a book that will enable you to lead your business more effectively?” Only about 50% raised their hands. To sustainably scale up a company, a CEO on leadership team must master four key areas: People, Strategy, Execution, and Cash. 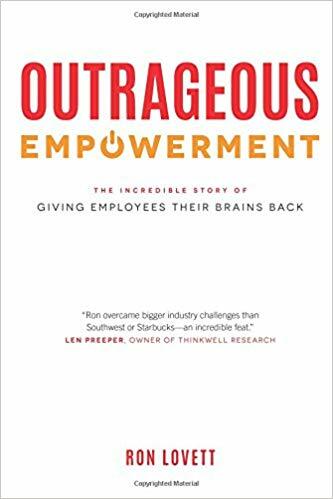 Outrageous Empowerment: The Incredible Story of Giving Employees Their Brains Back by Ron Lovett. Lovett went from private security guard to the rich and famous — to founder of his own security company with 1,500 employees (which he recently sold for 24x earnings). His secret: Getting rid of all middle managers and letting frontline employees think through decisions for themselves. Employees do not quit companies. They quit bad bosses. And the best way to fix this problem is to eliminate all the bosses! Lovett will help you find the courage to pare away that non-essential layer of bureaucracy, which is costing you 30% of your payroll, and free your team to excel. 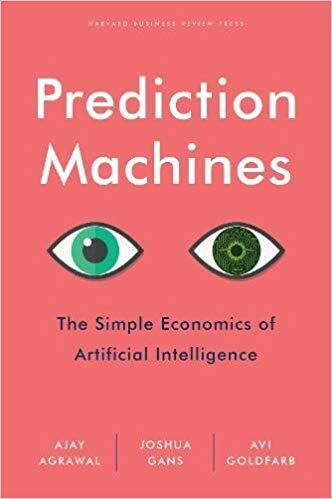 Prediction Machines: The Simple Economics of Artificial Intelligence by Ajay Agarwal, Joshua Gans and Avi Goldfarb. Artificial Intelligence was the #1 biz topic of 2018. Yet how do “mere mortal” mid-market firms think through how to put it to work in a practical way. The key is in the title of this powerfully practical book – prediction. Where would knowing something more quickly make or save you significant money/time, like when you’re about to lose a big customer or your best employees are ready to jump ship. 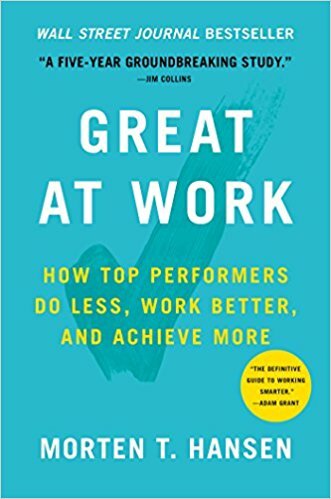 Hansen, a leading management thinker and professor at UC Berkeley, was also the co-author of what I consider Jim Collins’ best book, Great by Choice. Now Hansen has written a book of his own, delivering a significant update to the 7 Habits of Highly Effective People. Every company needs not just a few top performers producing but everyone knocking it out of the park. This book will show leaders how to educate everyone on their team to execute better. 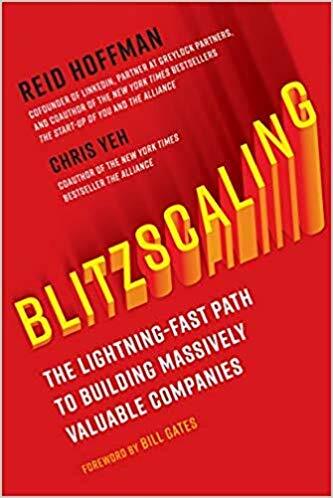 Blitzscaling details the “hacks” you need to grow really, really fast to capture a market quickly with a paradigm shifting idea. And because of this need for speed, you need a really strong culture. There are blitzscaling opportunities in every company. These 4 books are phenomenal reads I personally endorse. 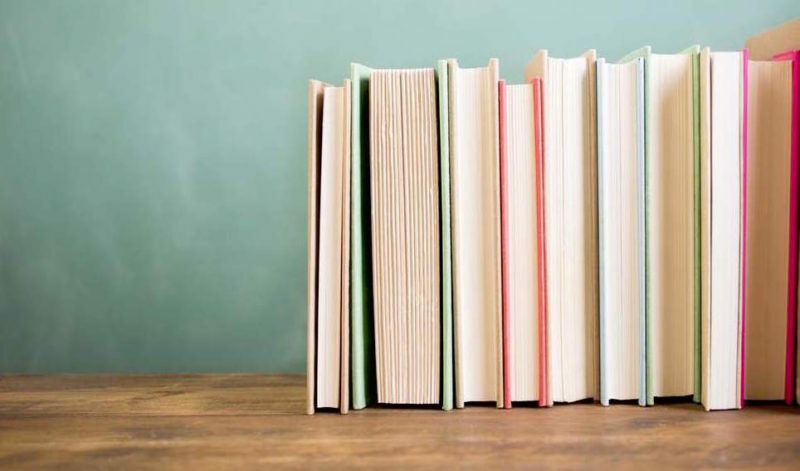 If you would like to see my personal list of top books I recommend to CEOs, visit my blog.